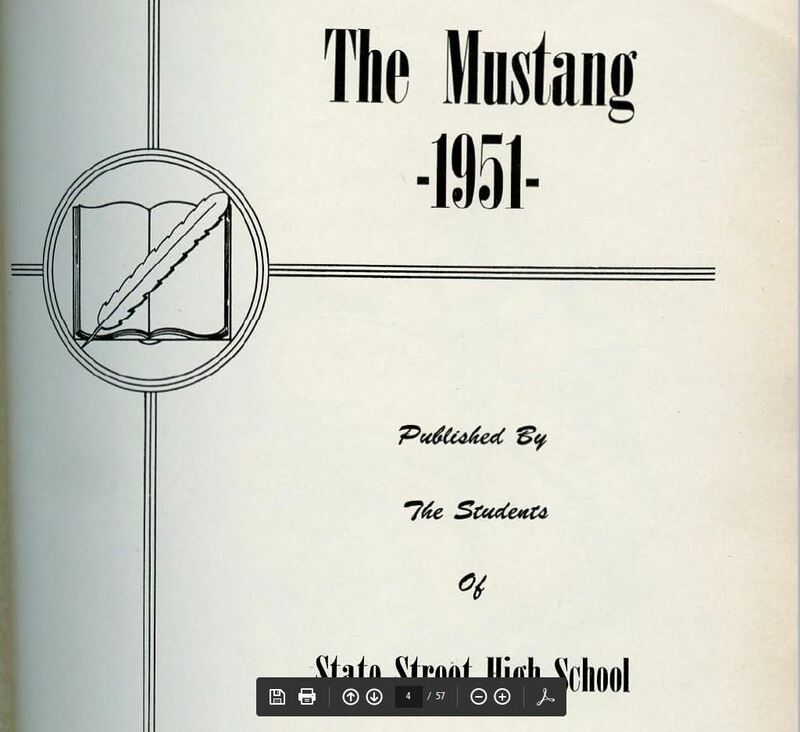 One of the prized holdings in the Department of Library Special Collections is the 1951 Mustang, the yearbook of the State Street High School. The State Street School served this area’s African-American students starting in 1883; High Street school took its place in 1955. Some other African American teachers in Warren County were Robert Barlow, Christine Barlow, Ethel Buford, Virginia Cabell, Lula Carpenter, Clara Cole, Addie J. Edmonds, Lutisha Frierson, Willie Gossom, Lena Hudson, C. A. Hutcherson, Latter Huston Cox, Eva Kuykendall, Lila Bell Lee, Frances Luvalle, Charity McCrutchen, Emma Milligan, Mabel Moore, Frank Moxley, Claude Nichols, Alroma Nichols, Mattie Patticord, A. L. Poole, Ethel Ray, A. P. Williams, Delorese Williams, Clara Bell Yarbrough, and Henry Yost.